Verizon Wireless offers several plans for individuals, families and small businesses. Their network is touted as the most reliable in the United States with a large team of experts ("Can you hear me now?") working to keep your calls and data streams fast and smooth. As with all providers, the offers listed below may not be available in your area or the prices may be different. Always check the official Verizon Wireless website for the latest information and facts for your calling area. Verizon Wireless offers three different nationwide single-line plans. For each of these, unlimited text messaging can be added on for $20 more per month. The name of the plan, appropriately enough, changes from Talk to Talk & Text when you do so. There are four types of Pay As You Go plans for Verizon customers. The basic prepaid plan has no daily access charge and calls are charged at a standard rate of 25 cents per minute. 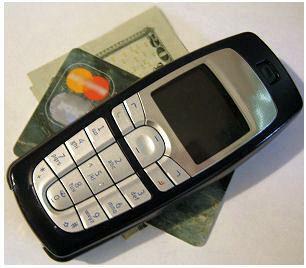 Each text message is 20 cents, including both sent and received messages. With a $0.99 daily access fee (only on days the phone is used), you get unlimited mobile to mobile (with other Verizon customers) minutes, night and weekend minutes at ten cents/minute, additional minutes at ten cents per minute, and text rates at ten cents per text. With a $1.99 daily access fee, you get unlimited mobile-to-mobile with other Verizon customers, and unlimited night and weekend minutes. Additional minutes are five cents each and text messages are also five cents each. With a $3.99 daily access fee, you get unlimited calling, but text messages are charged at one cent each.